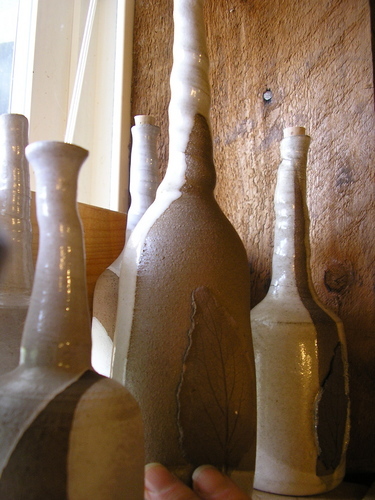 Elixir Bottles are a fine example of useful and interesting pottery. 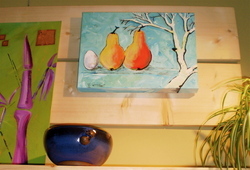 Paintings some big and some small and all with a touch of whimsy. Sense of humour is key in life! Mickey Smeele is offering an exciting line-up of Studio Sessions designed to build confidence, develop skills, and encourage the creative process for children and adults. In my perfect world I like to see all ages working along side each other. So, you may register with your child! What better way to bond than over smiles and creative energies soaring on high? All the materials you need to create materials are of the highest quality and provided for you. Some classes are designed to encourage creativity and confidence in many mediums. 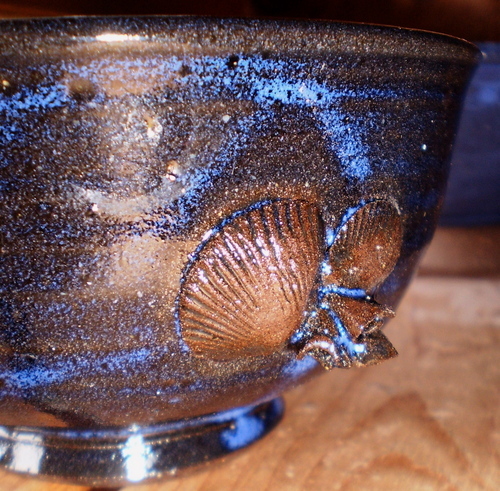 Some classes are very structured and focused on skill building in Clay, drawing or painting. Some classes are sheer creativity with very little instruction. Time to flow and enjoy the creative process. 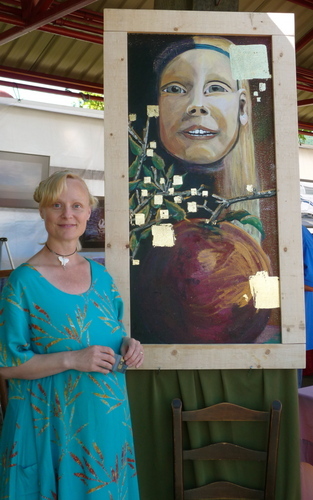 has been teaching art classes in the Alberni -Clayoquot region and across Vancouver Island for the last 12 years. In our new Mountain side gallery and water fall studio we are offering Clay Classes for children and adults, painting classes for children and adults, as well as private lessons or pottery studio rental. Always new art to See and Feel . Call for a time other than this if you prefer!